I wondered what he was thinking. 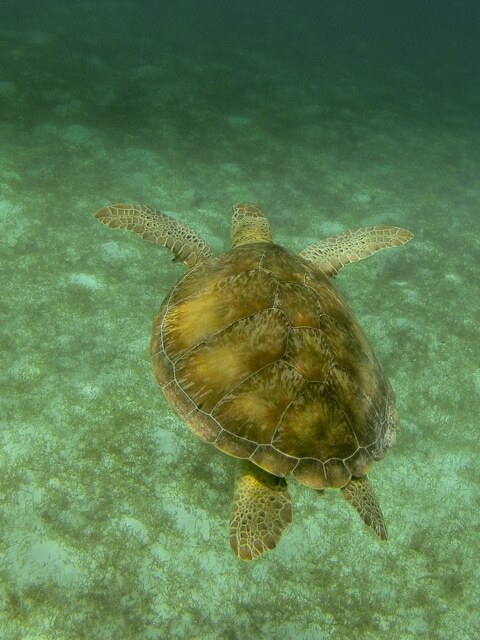 Gliding through clear water a turtle led me on a merry dance, captivating me with his every move. It turned out to be the highlight of my day on the water in the Tobago Cays. 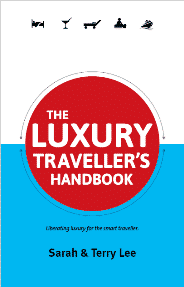 I’d already found St Vincent and The Grenadines to be rather spectacular islands – lush forests secreting away waterfalls that gushed with water so clean you could cup your hands and drink. Then there were its pretty islands like St Vincent itself and Bequia. There winding roads gave way to bays you could sit on for hours and not even notice the tide coming in. But Tobago Cays was a whole other spectacle. I knew it would be a good day when we left Palm Island Resort that morning. Boarding the Captain Yannis we were handed a glass of bubbly. It was only 10.30am in St Vincent, but we knew it was 5.30pm somewhere. We floated on the breeze to our first stop, Mayreau. The island has just one unnamed village. But with a population of 250 people, it’s likely everyone knows it pretty well. We didn’t concern ourselves with the island’s geography or village life however, instead spending most of our time there taking in its marine life. Angelfish and damsels darting between rocks, while tiny schools of electric blue and red fish swayed amid the clearest water, and trumpetfish nosed around crevices. Leaving Mayreau we sailed another 20 minutes or so to the Tobago Cays. These five tiny islands – Petit Rameau, Petit Bateau, Baradel, Jamesby and Petit Tabac sit within a horseshoe-shaped reef. 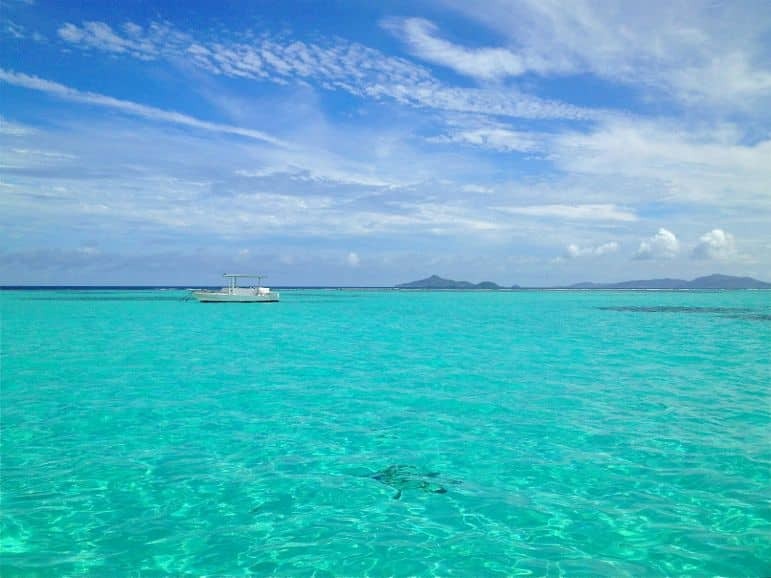 Sailing to the centre of it I felt a sense of calm as my eyes widened to the Tobago Cays’ seemingly infinite beauty. Perhaps a hundred shades of blue spread out before us as our boat cut through the water. With a rhythmic ripple we edged a path through other sailing ships and catamarans. 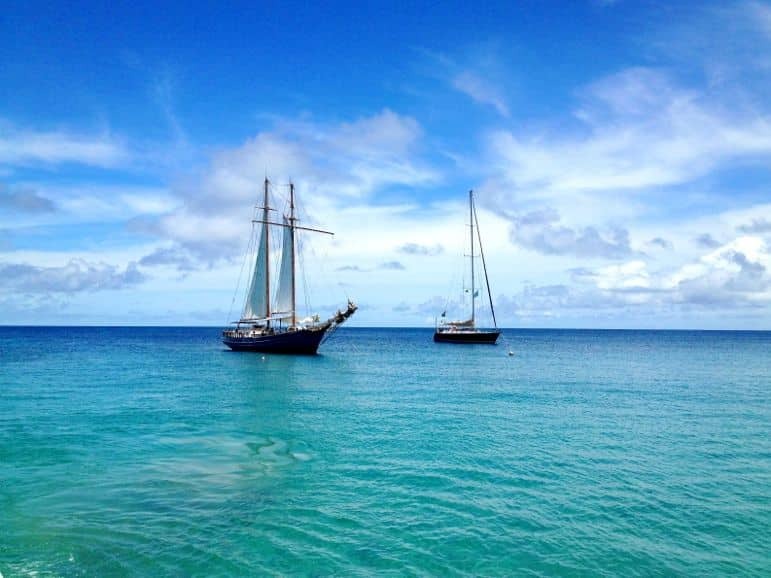 As we moored, I found myself temporarily hypnotised – Tobago Cays’ beauty and stillness encouraging me to relax on the ship – I was liming in the Caribbean after all. But the captain’s announcement broke my contented silence. “Oh yes, there were turtles here and we could swim with them,” I reminded myself. I grabbed my snorkel and jumped into the iridescent blue. It took a while to find them – the sea was perhaps just 10 feet deep here, but the turtles were fast on their fins. Off in the distance I saw a sphere – the underside of a turtle as it swept towards the surface, before racing off. Luckily Captain Yannis’ crew were used to turtle spotting and one of them jumped in to acquaint us with them. Minutes later below me, in front and to my left and right, green turtles swooped through the water. I tried in earnest to follow about three at once as they headed in different directions, racing across the sea in a way I only wish I could myself. But even Michael Phelps would have struggled to keep up with these animals. They were in their natural habitat, coasting gracefully from warm to cooler waters. 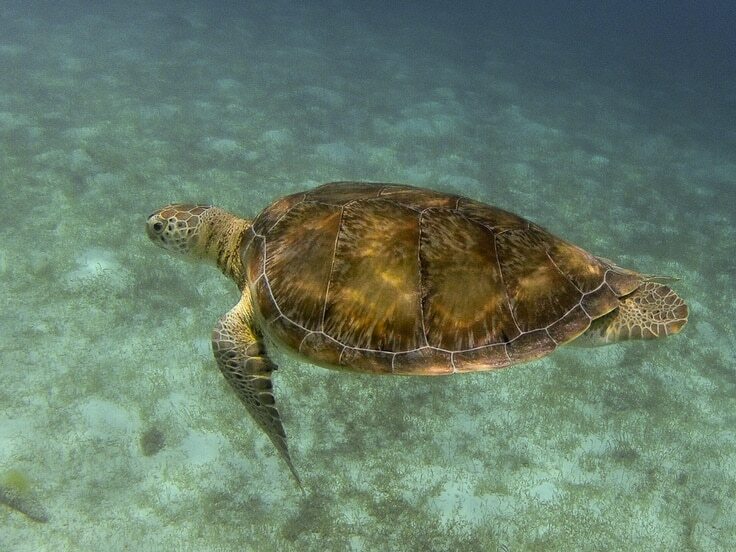 Then I seemed to strike up a friendship – a turtle which had been liming on the seabed swam slowly in front of me. Turtles aren’t said to be the most graceful in the sea, but as my new friend twisted and turned, rippling his fins with each gentle wave, I considered it an underwater ballet. But perhaps the most wonderful part of all was when he ventured from the deep to my world for a quick intake of the air I was breathing. Raising his head above the waves I found myself rising to the surface too, delighting in this creature’s every move. I watched him intensely, studying the contours of his body. And my new friend didn’t seem to mind at all. There’s an immense privilege that comes from watching animals up close in the wild. And in the Tobago Cays that day, I discovered a new respect for these oddly balletic beasts. 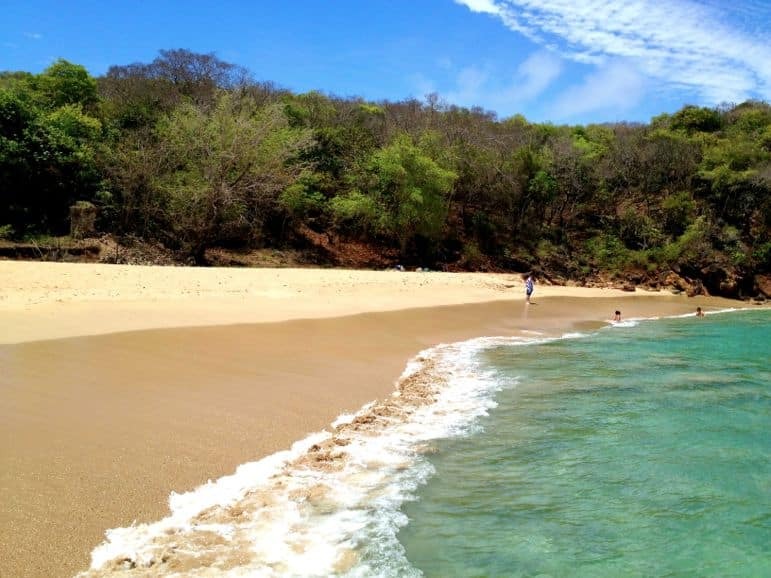 Want to swim with turtles in Tobago Cays? Enter this competition for your chance to win a seven night holiday to St Vincent and The Grenadines.